LNER Class J17 number 8217 was a Great Eastern Railway Class G58. 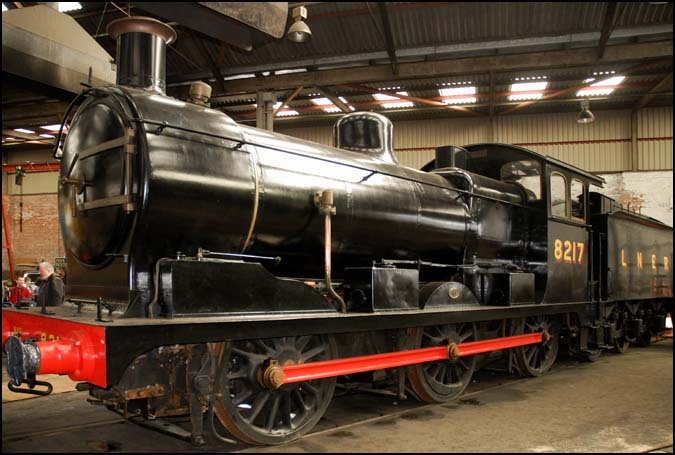 This J17 is on loan to Barrow Hill from the National Railway Museum at York. Barrow Hill shed and is a former steam roundhouse which is located at Barrow Hill near to Chesterfield. This engine shed was saved by the Barrow Hill Engine Shed Society. The Barrow Hill April 2009 LNER Gala.